This is not a resource pack, it is a full modification for Minecraft Pocket Edition with a set of features that can not be implemented using usual resource packs in MCPE. 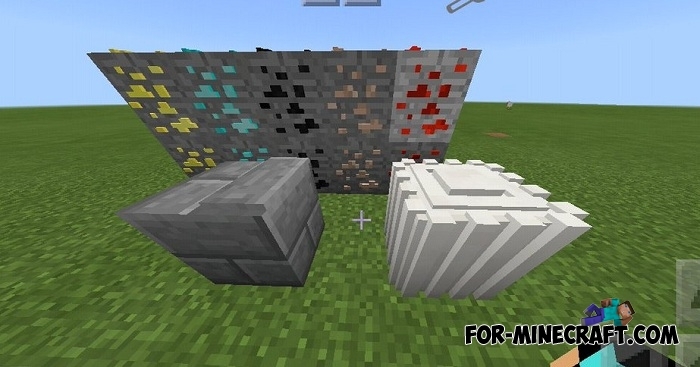 Before you learn more, just look at the screenshots and compare the new ores with the standard ones. As you can see, they now have ore inclusions and particles. Of particular interest is the fact that these are 3D blocks and if you look at them from any of the 6 sides, you can see a pronounced volume. 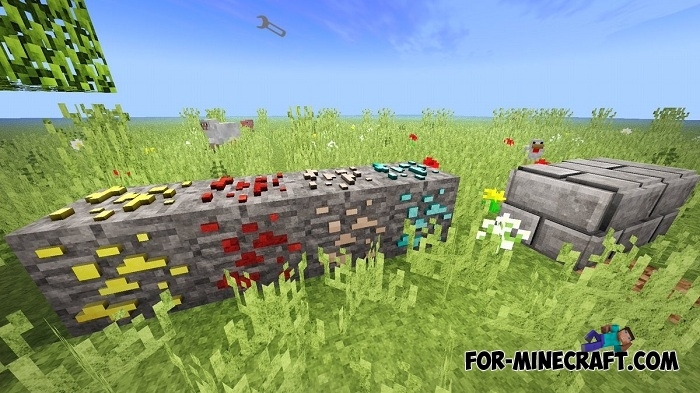 Such blocks include: vanilla ores, tree trunks, bricks, glass, stone, cobblestone and quartz. Digging in the mines will get a little more interest from the player when he sees new 3D blocks. 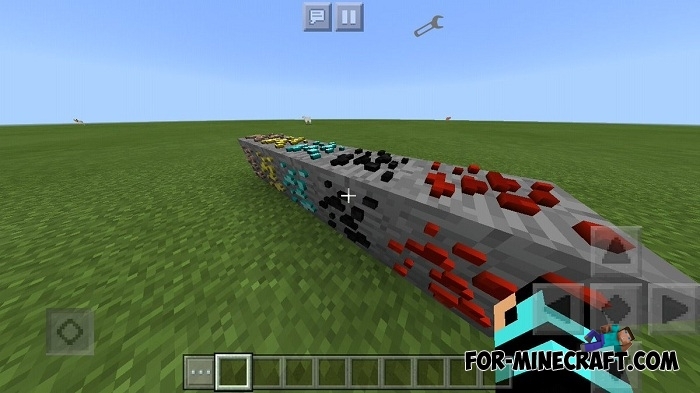 And there is one great possibility to install any texture packs above this mod and everything should work stably. Probably some errors may arise because of the incompatibility of the game versions but everything is fine for v1.2.